I live on a very windy island in the middle of the North Sea. It’s often overcast and the temperature, although it doesn’t get particularly cold in the winter, it doesn’t get particularly warm in the summer either. When the mercury starts creeping over 15 degrees Celsius layers start getting peeled off and we all start complaining about the heat. On those very occasional summer days where the wind dies down, the clouds clear, the sun comes out and the temperature hits 16 or so (and the midges don’t swarm when you go outside) we like our BBQs. Family BBQs are something we’ve learned we can not plan in advance. I can spend all morning preparing a selection of delectable BBQ dishes only to find, when my husband comes home from work in the afternoon, that the rain clouds have returned and the heavens open up. BBQs in our household are spontaneous, and I don’t keep shop bought BBQ sauce in the house as we rarely use it. When the weather conditions for a BBQ are met it’s all systems go – go – go! BBQ sauce is needed stat! This summer we’ve been eating outdoors much more than usual, and this is due to the addition of the Tefal Optigrill we were given by the fine folk at Tefal back in April. Over the last few months I’ve developed this five minute BBQ sauce recipe for those days where the sun shines and the wind dies down long enough for us to eat outside. 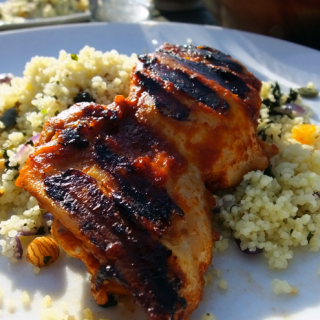 Grilled meats brushed with this sauce served with a quick couscous salad, fresh fruit and iced lemon water have become a firm family favourite: an entire al fresco meal made in less than 20 minutes. This recipe makes just enough sauce to baste a packet of sausages, or one packet of chicken thigh fillets, chicken breasts, or four to five burgers; enough to feed our family of five. It can easily be doubled if you need more sauce. 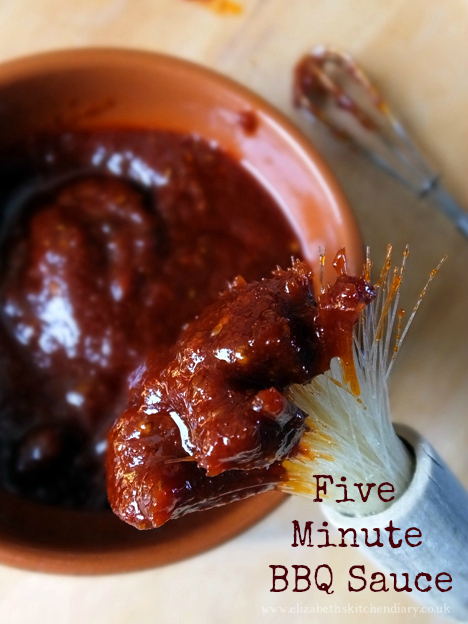 A quick five minute BBQ sauce - sweet, sour and spicy. Place all the ingredients together in a small bowl and whisk until thoroughly combined. 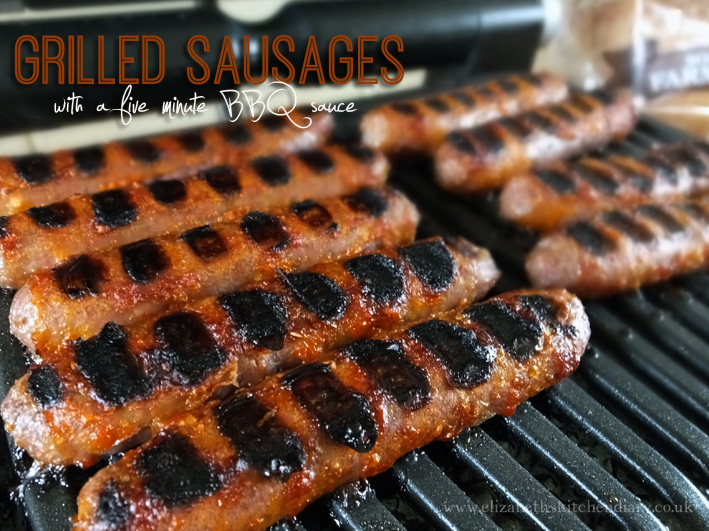 Brush on chicken, sausages or burgers before grilling or barbecuing. 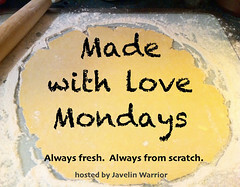 I am linking this recipe up with Family Foodies co-hosted by Louisa over at Eat Your Veg and Vanesther over at Bangers & Mash. This month their blogging challenge is all about Al Fresco eating – BBQ and summer picnic ideas. This will come in handy for the summer. I’ll have to give this a go. This looks very do-able and delicious! I might be much further south but even here bbq’s tend to be a last minute affair, as every time we plan the weather turns bad even in the middle of a hot spell. Sod’s law I think they call it! Anyway, love BBQ sauce but with a family of 3 most recipes make too much so this is great. Also love the suggestion above of adding English mustard and cumin. I feel a BBQ coming on! Great line up of ingredients you’ve got there Elizabeth!. I bet you’ve had a good deal more barbie action though this year than normal? It’s certainly been a very pleasant summer so far down in these Southern parts. Thanks so much for linking up to Family Foodies ‘Al Fresco’ event. Lou, Eat Your Veg recently posted…Love a Salad? Then you’ll love this GIVEAWAY! This sounds like something my lot would love – will definitely give this a go soon. Lovely recipe. Very similar to one that I use except mine has a tiny smidge of English mustard and 1/2 tsp Cumin in addition. Ooh I bet that would be fantastic too! Homemade barbecue sauces are awesome because you can tweak and customize them to match your tastes. And a quick go-to version like this is wonderful for those impromptu moments. This couldn’t be easier and just in time for summer! Thanks Johanna 🙂 I deliberately kept this recipe as a single batch sauce. There’s not much extra for basting either as I usually use it my Optigrill these days, so there is no time for basting. 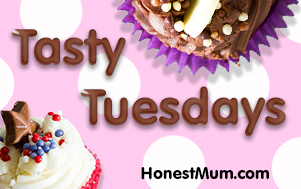 I know what you mean about fussy eaters too – mine seem to be getting pickier for some reason! Love a god BBQ sauce, will give this s go! I have all those ingredients right now!! How long does it stay good for in the fridge? Thanks for sharing! BBQ sauce is my all time favourite but I always buy it in a jar or as a packet mix – I might have a go at making my own! My pleasure Tracy 🙂 I used to always buy it in bottles too until I realised how easy it is to make at home!